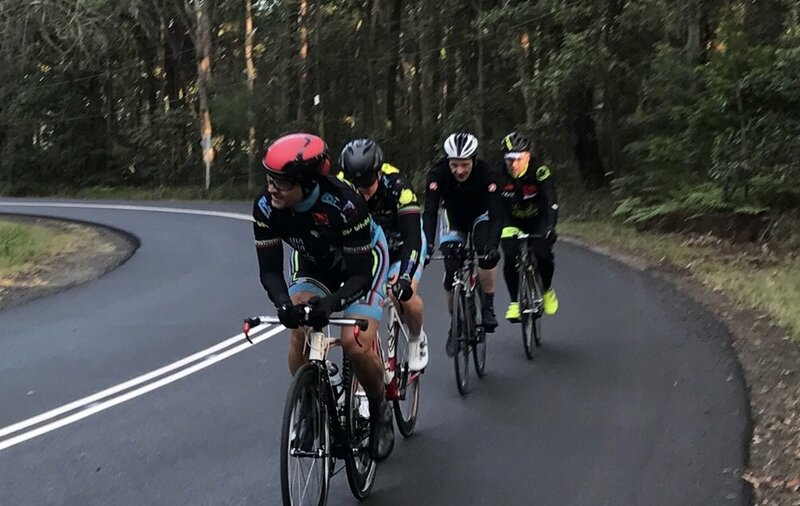 * Heffron Park @ 16-17 June - Jeremy Hopson (BiciSport Pilu Racing) polished off some great mid season form, winning both races on the Saturday & Sunday with Waratah Masters. Other good performances at Heffron Park came from Mike Lawson, Gio Pilu & Ian Grainger. * Newcastle Kooragang @ 16 June - Rhett Hall took 7th in the group handicap & Ruth Strapp first female. * Motor traffic conditions are now HEAVIER with the NSW School Term in full swing. * 21 June (Thurs) - Happy Wheels Waterloo Ride @ 6.00am @ Happy Wheels shop at Waterloo. Distinguished Gentlemen's Ride @ 10.30am @ Spruce Goose Cafe Centennial Park. * 24 June - Sydney Olympic Park @ Hill St Wharf @ 7.00am.